Add this to the list of existential fears that keep you up at night: the universe appears to be expanding faster than we thought. A lot faster. That’s according to new, highly precise measurements of the distance between 19 faraway galaxies acquired by the Hubble Space Telescope. The new numbers indicate that the rate of expansion of our universe (the so-called “Hubble constant”) is approximately 45.5 miles per second per megaparsec. In slightly less baffling terms, space is expanding fast enough to essentially double the distance between our galaxy and our nearest neighbors in about 10 billion years. 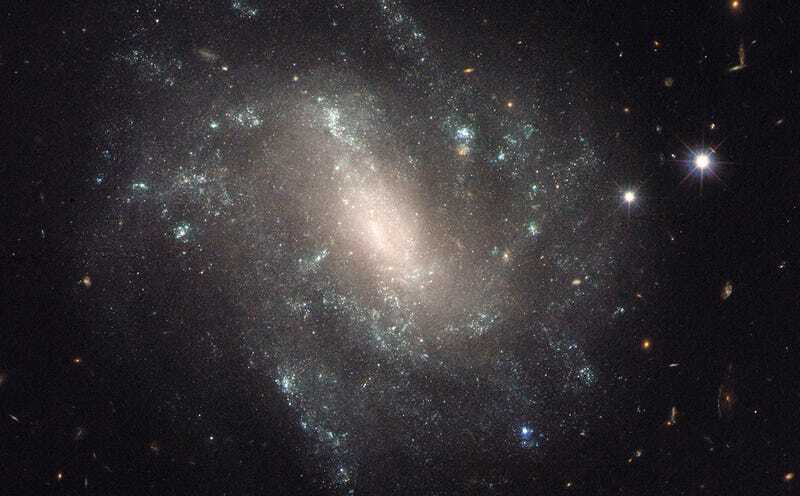 The new Hubble constant is 5 to 9 percent higher than previous estimates. It might not seem like that much, but when it comes to the fate of the entire universe, it constitutes a major discrepancy. The discovery, which will be detailed in a forthcoming issue of The Astrophysical Journal, presents a problem for cosmologists, because it does not match estimated expansion rates from the energetic leftovers of the Big Bang. Two missions—NASA’s Wilkinson Microwave Anisotropy Probe and the European Space Agency’s Planck satellite mission—have both yielded smaller Hubble constants by examining the so-called “afterglow” of the mega-explosion that birthed our universe. The discrepancy still needs to be independently verified. But if it holds up, it implies that there are underlying physical processes pushing space apart which we haven’t fully accounted for. That’s not too surprising when you consider that some 95 percent of our universe is made up of dark energy, dark matter, and dark radiation, all of which emit no light and are barely understood at all. Alternatively, it could mean that Einstein’s theory of relativity is incomplete—which is also kind of understandable, given that the man single-handedly penned the laws of existence in his twenties without the aid of a computer. Either way, it’s an exciting reminder that the very fabric of reality is being shaped and stretched by forces we can barely comprehend. But one day, those forces will ensure that all of our atoms are dispersed across trillions of light years of vast nothingness.